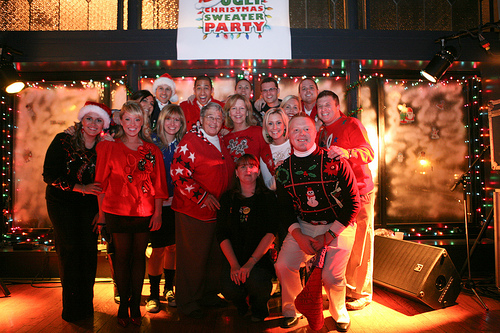 The day before Thanksgiving is probably your last chance to get yourself that Ugly Christmas Sweater for the Ugly Christmas Sweater office party next week! And believe me, this year there are going to be even more Christmas Sweater Parties than last year. The Craze is complete! It’s the season…Now also in the UK! 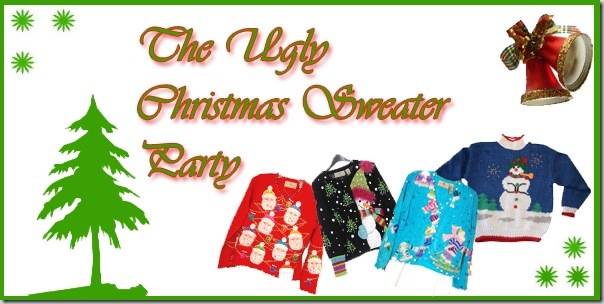 Are you ready for The Ugly Christmas Sweater Party? According to my monthly traffic displayed below on the articles about the Ugly Christmas Sweaters, traffic is several multiples vs last year. It’s interesting to see the keywords people use when they search for an ugly sweater to wear to the office Christmas party. And although the top keywords driving traffic have not changed that much, only in the amount of visitors these were bringing going up, the long tail has grown significantly. Where in 2010 Q4 only 423 keywords containing the word Christmas were driving traffic, in 2011 that number has grown to 706 keywords, where the quarter is not even finished yet! Where last year the search referral traffic to my site was primarily concentrated in the US and a little in Canada, this year the Ugly Christmas Sweater Party seems to be breaking though in the UK and Ireland too. We see that also in the keywords being used in the search referrals, as Tacky and Jumper are more used in the UK than in the US! So get ready and buy your But Ugly Christmas Sweater before Thanksgiving to have it shipped to you in time for that crazy Chistmas Sweater party next week!